The following is a list of ATE UK approved training schools offering a 3-year, 1600-hour course to become a teacher of the Alexander Technique. Please contact the individual schools directly for more details about the training they provide. 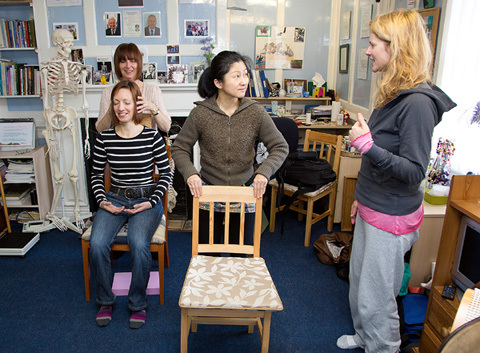 Located in Chelmsford, Essex, East Anglia Centre for Alexander Technique (EACAT) is a small, friendly training school, of no more than ten students. Course numbers are limited so that progress can be monitored closely, giving students a nurturing space in which to develop. As well as a 3-year training programme, EACAT offers short courses and workshops at all levels.